When you upload your page to your server you just started the race to get indexed. Now, the search engines won’t know you even upload anything for at least a few hours and in most cases a few days. There are plenty of ways to get indexed today and I’ll go into those in a bit but here is what happens from start to finish when you get indexed. So as I was saying when you upload your page you have officially began the race. The first part, for the third time is uploading your page. The bots are going to be looking for you if you did everything I said. Once they visit your page they may not index you. They may put you in line to be indexed. Sort of like a probationary period. You don’t want to make any changes to your page once you upload it so make sure it’s the way you want it. Each time you update or change the page, the bots know and will keep starting from scratch with your page until it’s indexed. Even when it’s already indexed and you make changes it will come back to your page and update the search engine accordingly which can be good and bad, so again play it safe. If you’re not linked to another site or vice versa the bots are going to find you the hard way. They are going to hit blocks of I.P. addresses (the virtual address of your website besides the .com part) and look for new pages and sites. The spiders that are doing the research will save your site for export later to the Index. You’re competing with billions of other sites sometimes all within the same hour(s) to get indexed or get your page "crawled” by the spiders. So to recap so far, when you upload your site it will eventually get crawled by the spiders/bots and it will either get indexed or put in line to be Indexed. You should make note that no site is just put in the Index right away. It may get indexed but won’t appear in the search results until the Index has been updated. No one knows when the official updates are but they happened every few hours or days. In the next section I’ll tell you the actual steps and tools you can use to make sure your page gets indexed. You can just upload your page and it will eventually be indexed but that can take months or weeks and that’s no fun. As you’ll soon find out, getting Indexed can be pretty easy and happen pretty quick as well. Just as easily and quickly as you get Indexed, you can be De-Indexed or Banned. There is difference between being De-Indexed and flat out Banned. It’s not a huge difference but when you are Banned your page and entire site are removed from the Index forever. If your page gets De-Indexed it may just be one page from your site or it may be the whole site. The difference is your page and or site may be re-indexed, the chances are slim and it’s nothing personal it’s just how it works. Since we’re talking mainly about Google, you should learn the Google SEO term "Sandbox” or "Sandboxed”. The Sandbox is what SEO folk refer to the action of de-indexing or de-listing your page or entire web site. The sites that get "Sandboxed” really don’t go anywhere, they just don’t appear in the search engine results for an undetermined amount of time but for the most part you’ll just have to get the page(s) and or site(s) re-indexed using the methods you’ll learn later on. Alright, your page is done and uploaded. Now comes the fun part of going above and beyond the spiders and not waiting for them to come to you, but forcing them to come to you. Every method of getting Indexed is just a method to get a backlink. I’ll explain in further detail what a backlink is but just remember backlinks are king in terms of indexing. So you’ll understand this more thoroughly, let me talk about backlinks. Backlinks are links from other people to your page/site. Sometimes they are refered to as Incoming or Inbound links. These are like a popularity contest. The more links going to your site the better. Google and the search engines think all these people like the site so they are linking to it so we must like it so we’ll index it. Backlinks again are only useful if the person who is linked to you is already indexed. You’re just leading the bots that regularly visit these already indexed sites right to yours and you’re speeding up the process. Don’t put all your eggs in one basket though. You can have zero links or backlinks and be #1 in the search engine for your Keyword(s). Backlinks are only really important when you are in a very competitve niche. In that case you shouldn’t be in such a popular niche, cash in on other stuff. There is 300 million people in this country alone, everyone in the world can and does use the net for the most part. Think of something and usually there is someone wanting it. Use your marketing skills to make what you’re offering worthy of people paying you for it. That’s a whole other book though. Backlinks are basically the idea behind every "method” of getting indexed. There are just different and vast ways to get backlinks and attention from the search engines. This is probably the lengthiest part of this entire ebook and at the same time it’s the most useful. In conclusion backlinks are a great head start but by no means are they the only thing you should use to get indexed. 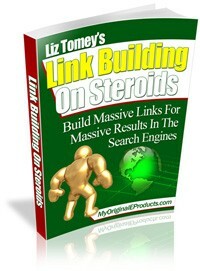 If you can’t get any backlinks in the next few sections I’ll show you how to get sites that are indexed to link to you.